The Western Star, May 3, 2007. Justice Harold S. Herd, 88, passed away Monday, April 23, 2007, at the Comanche County Hospital in Coldwater. 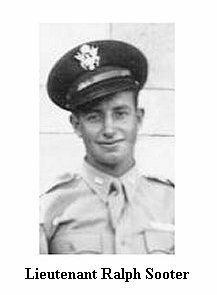 Born June 3, 1918, in Comanche County, Harold Herd was the second child of J. J. Herd and Bernice Shields Herd. He graduated from Protection High School in 1936 and attended Southwestern College in Winfield for two years, lettering in football, track, and debate. He transferred to Washburn University to study law and lettered in football and track. He received his B. A. Degree in 1940 and Doctor of Jurisprudence in 1942. Justice Herd then joined the war effort, serving in the Pacific Theater as a naval officer on the USS Rio Grande and USS Cache. He left the Navy as a Lieutenant in 1946 and returned to his hometown to practice law. He was deeply involved in civic activities and the educational and recreational activities of his growing family. He maintained his private practice in Coldwater until 1979. Justice Herd believed passionately in public service and the role of citizenship in sustaining a healthy and just nation. During the 1950’s, he served as Mayor of Coldwater, Comanche County attorney, and then Coldwater City Attorney. In 1964, he ran for and won election to the Kansas State Senate as a Democrat and was Senate Minority Leader from 1969-1973. In all of these elected positions, he worked tirelessly in support of public education and the protection of individuals and their liberties from undue influence from the wealthy and powerful. In 1979, Harold Herd was appointed to the Kansas Supreme Court and served on the Court until 1993, helping interpret the law on a wide range of issues, including water rights, oil and gas, women’s rights, and the separation of power to sustain the public good. Upon retiring from the Kansas Supreme Court, Justice Herd became Distinguished Jurist in Residence at Washburn University School of Law, teaching constitutional history in that position until 2002, when he retired to his home in Coldwater. He was Past President of Coldwater Lions Club, a member of the Coldwater First Presbyterian Church, and a Master Mason, Masonic Lodge #295. He served on the Washburn Law School Board of Governors; the Kansas Committee for the Humanities; the University of Kansas Hall Center for the Humanities’ Executive Council of the Kansas Bar, and President of the S.W. Kansas Bar Association. His honors included Who’s Who in America, Who’s Who in American Law, Who’s Who in American Bench and Bar; Fellow in the American and Kansas Bar Foundations; Distinguished Service Award by the Kansas Bar Association in 1991, the Washburn Law School Association I 1995, and special recognition from Kansas high school teachers for his constant effort in helping students understand the constitution. Justice Herd was preceded in death by his parents, his brother Junior Herd, and his son Hal Herd. He leaves to mourn, his wife of 67 years, Midge Herd; his children: Pamela Brink and husband Jim; Kathy Herd, wife of Hal; Mac Herd and wife Gwen; Skip Herd and wife Kelly; Margie Beeler and husband Cotton; Mike Herd and wife Amy; 13 grandchildren; five great- grandchildren; his siblings: Lorraine Kendrick and husband Bob, Barbara Crane; Ronald Herd; and Eldon Herd; plus 15 nieces and nephews. Funeral services were at the Coldwater First Presbyterian Church Monday, April 30, 2007, with Rev. Dennis Carter presiding. Graveside services followed at Crown Hill Cemetery, Coldwater, with full military honors. Memorials may be made to the American Cancer society, Coldwater First Presbyterian Church, Comanche County Recreation Commission, or the Washburn University Harold S. Herd Scholarship Fund through Hatfield- Prusa Funeral Home, P.O. Box 417, Coldwater, KS 67029. With the solemnity befitting a man who had served in both houses of the Kansas legislature, as well as serving on the Kansas Supreme Court, members of the Patriot Guard begin forming a square of American flags around Justice Harold Herd's gravesite as family and friends gather around for his graveside service at Crown Hill Cemetery Monday afternoon. Photo courtesy of Dennies Andersen of The Western Star. The Western Star, 27 April 2007. Justice Harold Shields Herd, 88, died Monday, April 23, 2007, at the Comanche County Hospital in Coldwater. He was born June 3, 1918, south of Coldwater near Buttermilk, the son of Jesse James "Jim" Herd and Bernice (Shields) Herd. He married Midge Rich Nov. 30, 1940. She survives. The couple raised six children. Funeral will be at 2 p.m. Monday, April 30, 2007, at the First Presbyterian Church in Coldwater. Burial will be in Coldwater’s Crown Hill Cemetery, with military honors. Calling times are from 1-7 p.m. at the Hatfield-Prusa Funeral Home in Coldwater. Memorials are suggested to the American Cancer Society, the First Presbyterian Church, or the Comanche County Recreation Commission, all in care of the Hatfield-Prusa Funeral Home, Box 417, Coldwater, KS 67029. Full obituary will be published next week. The Western Star , October 15, 1943. "I now have a Jap helmet. The helmet has a hole in the middle of the forehead where the owner received his everlasting from one of our good Marines (a bit gruesome to look at.) These we found in a cave where a group were annihilated. Yesterday two other officers and myself went exploring and snooping around for souvenirs and we came upon a fighter squadron headquarters and noticed some very interesting looking Jap flags painted on the front of the building. So we preceded to investigate. Well, the boys had been working overtime and had 103 Jap planes to their credit (30 pilots in the squadron) and underneath the flags was an inscription "In Memoriam," and among seven other names I found "First Lieut. R. S. Sooter." Obviously, I was more than slightly taken back by same, even though I had previously heard of him being lost. The boys said he was flying a P-38, (which is wicked job anyway) and got it shot down from under him and that they talked to him through the radio after he was down, and he said he was O.K. but that they were never able to locate him thereafter. Ralph was very popular among fellows in his squadron." 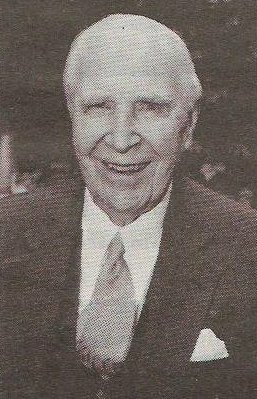 Jesse James "Jim" Herd, father of Harold Shields Herd. Coldwater Centennial Notebook, 1884 - 1894: a history of Coldwater's 1st 100 years, by Evelyn Reed. USS Rio Grande, Patapsco class Gasoline Tanker. USS Rio Grande, Dictionary of Fighting Ships. AO-67 USS Cache, Suamico class Fleet Oiler. Harold S. Herd, current google.com search results. Thanks to Vanita Blundell for transcribing and contributing the above 27 April 2007 obituary to this web site, to Phyllis Scherich for transcribing and sending the 03 May 2007 obituary and to Dennies Andersen for permission to publish them! This RootsWeb website is being created by Jerry Ferrin with the able assistance of many Contributors. Your comments, suggestions and contributions of historical information and photographs to this site are welcome. Please sign the Guest Book. This page was created 25 April 2007 and was last updated 8 May 2007.